From enthusiasts who deny their contribution to those who spend thousands on them, cables are one of the more highly debated topics in audio. While building a system, this widespread skepticism and polarization can leave an audiophile scratching his or her head about how much they should spend. My opinion is that there are falsities on both extremes of the spectrum. In order to get the maximum performance out of your system, good quality cables are a must; yet, they don’t need to break the bank. The most economical way to cable your system correctly is to make them yourself. In this article, I’ll walk you through the construction of a cost effective, high performance interconnect cable that anyone can make. Before you roll up your sleeves and turn on that soldering iron, let’s talk a few minutes about choosing a good cable for our project. There’s never been a time when we’ve had more electromagnetic interference in our homes. Electromagnetic interference (EMI) is radio-frequency energy that can be emitted by common household electronics such as TVs, cell phones, computers, and light ballasts. EMI can wreak havoc on high bandwidth analog circuitry, compromising sound quality and stability. Even some high-end components such as DACs and class D amplifiers generate moderate to high levels of EMI. Most audio components have their chassis grounded, creating a Faraday cage which helps shield sensitive low noise circuitry from this interference. Unfortunately, this doesn’t make them completely immune. This is because the weakest part of our systems from an EMI perspective is actually our cables, which act as excellent antennas, picking up noise and sending it directly to where we don’t want it… the input of our amplifiers. The best weapon we have to reduce this noise pickup is to use balanced components and interconnects in our system. A truly balanced connection rejects noise because the receiving end only amplifies the difference between the two phases, thus canceling the noise that is common between them. For this reason, balanced connections are standard in the professional audio field; without them, long runs from microphones and sound boards would be impossible to implement quietly. 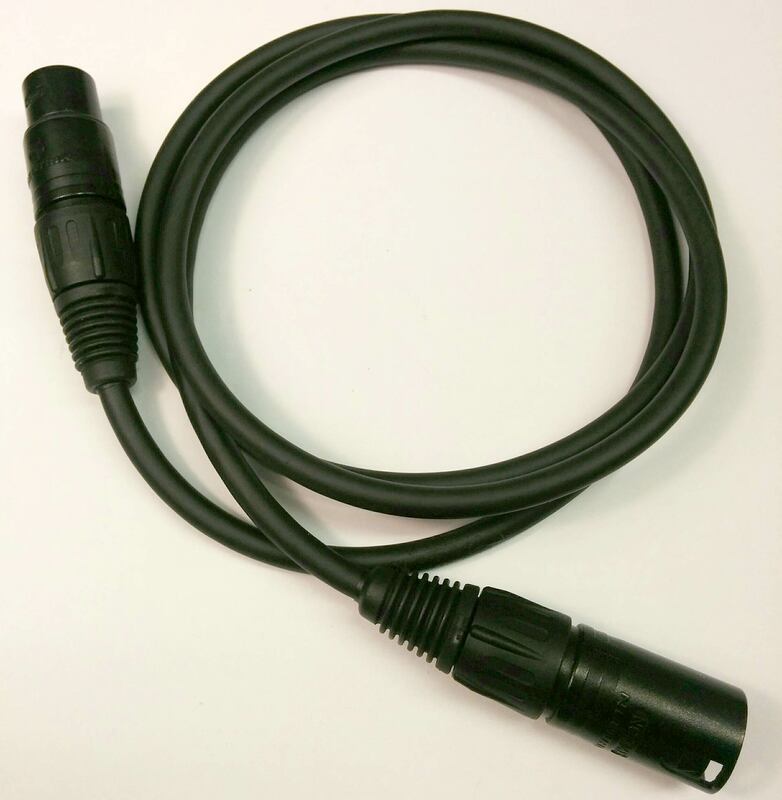 Due to the size of the pro audio market, microphone cable is mass-produced, which increases its cost efficiency. The Mogami W2534, which averages around $2/foot, is my pick for a nice quality microphone cable made from oxygen free copper that also has a fairly low capacitance for a quad balanced type. This is my choice, but it doesn’t have to be yours. There are plenty of choices online so I urge you to experiment with different cable types and brands to see what sounds best to you. Now that we have picked the cable, determine the desired length and cut two equal pieces. I’ll be making a 4-foot cable, but don’t hesitate to make yours as long as you need. 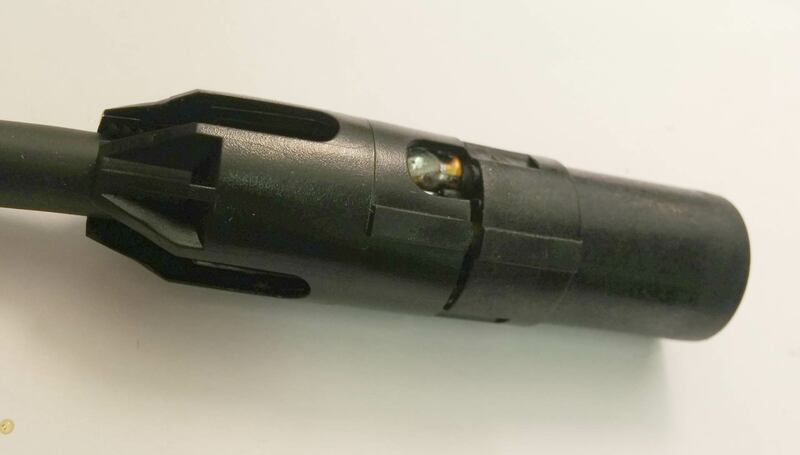 Unscrew a female XLR connector so that it separates into four pieces. You should have a large exterior metal case, a piece that contains the contacts, and an exterior and interior contact cover. Slide the exterior cover (the metal and rubber piece that you just unscrewed) and slide it down the cable inserting the narrow rubber side first. 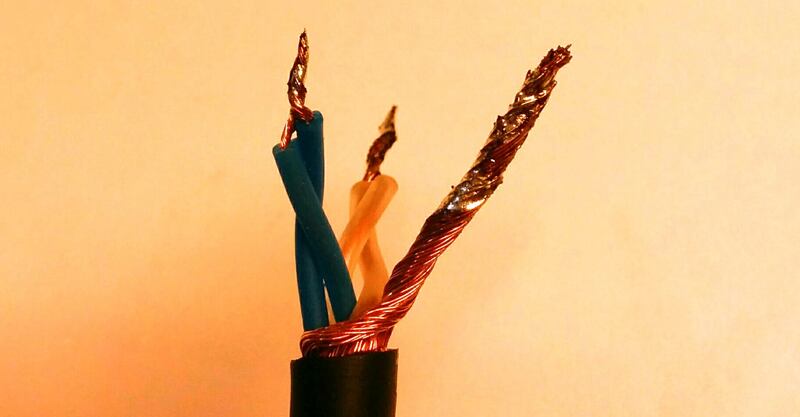 Remove approximately an inch of the outer jacket from one side of the cable and twist the copper sheath. With wire strippers, remove a small portion of the jacket around the four inner conductors. Twist the two white wires together and then repeat for the two blue ones. Tin the ends of the three conductors with a little solder. If you’ve never used a soldering iron before, you can purchase one for under 10 dollars at your local hardware store. You can then learn how to solder quickly by watching some videos on YouTube by using the search “how to solder”. Here’s a good example. Take the piece that contains the contacts and solder the ground sheath to pin 1, the blue wire to pin 2 and the white wire to pin 3. The pins numbers can be found on the opposing side of the solder contacts. Attach the inner contact cover and slide it up so that it covers the soldered contacts. In order to slide the metal case over the contacts, you must first line up the contact piece and inner cover so that the two raised notches are aligned. Once the case slides on, bring the outer cover that was first put on the cable up and screw it into place. Awesome! We’ve terminated the first side of the cable. Repeat the same process, this time with a male connector on the opposing end. So we managed to make a high performance cable for a fraction of the price of one on the market…except something’s not quite right. 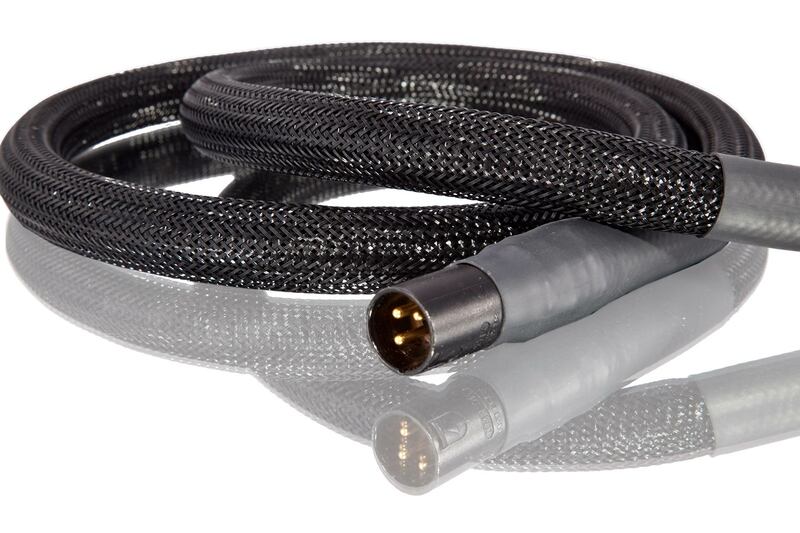 Expensive cables don’t just measure and sound good, they also look attractive, outfitting our systems like a good set of rims complements a sports car. Here’s how to make our new cable look like a thousand bucks. Cut a piece of ½- inch diameter corrugated split loom tubing a few inches longer than your cable. You can find this tubing at your local hardware store or many places online. Stuff the cable inside the tubing and cut the excess so that both ends of the tubing cover and stop on the rubber contact covers located on the XLR connectors. Use electrical tape to tightly secure the tubing on each end. I also ran a few strips of tape every foot or so to make sure the split in the tubing remains closed. Now slide the ½-inch techflex over the cable so that it fully covers the plastic tubing. Cut the excess off and use a lighter to lightly singe the ends of the techflex. As was done with the tubing, use tape to tightly secure the ends of the techflex. Cut 3 to 4 inch pieces of heat shrink and place one at each end so that it covers the electrical tape. 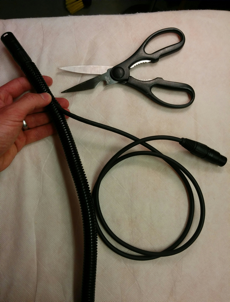 Use a hot air gun to shrink the tubing into place. If you are using a hairdryer, turn it on high and place the shrink tubing within a few centimeters of the dryer. It could take a few minutes of heating until the tubing has completely shrunk. Voila! Just repeat this process for the other channel and you’re finished! Redco 1” 2:1 heat shrink tubing or equivalent. *$50 estimate is based on a 4 foot stereo run. Can one of these be used as an AES/EBU digital cable? Wire you use has to be 110Ohm I believe for that usage. 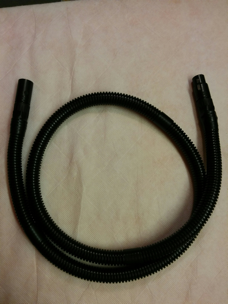 Great article thank you, I enjoyed making my own XLR. I used red techflex for the right mono amp and black for the left. Question, the techflex unraveled a lot after I cut it. i found it difficult to control the unraveling. After I singed the cut ends and wrapped electrical tape around the ends, the techflex still had a little budge just before the tape. Looks wise, it was not distracting. Do you have any tips on how to control the unravel after cutting and while sliding over the corrugated.